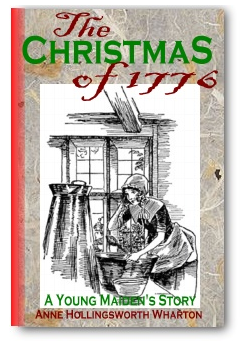 Today’s resource is this delightful short story of a young girl’s Christmas experiences during the tumultuous time of the American Revolution, taken from the book “A Last Century Maiden” by Anne Hollingsworth Wharton. Lots of fascinating history and details of old-time holiday celebrations make this story a great read-aloud for the whole family! Check it out! To download this PDF ebook, RIGHT CLICK HERE and “save” to your computer. Mac users, press the “control” key then click the link and save to your mac. 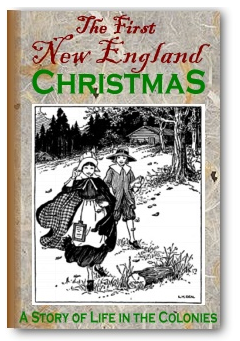 Today’s resource is this excellent short story of the first Christmas in New England, in the year 1620. If you’ve been curious as to how the early Pilgrims celebrated Christmas, read this – you may be surprised at what you discover! OLogy! 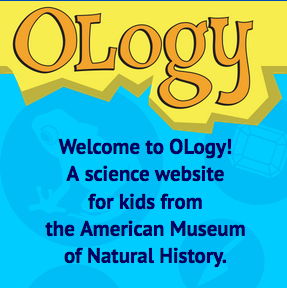 is a science website for kids from the American Museum of Natural History. “OLogy” means “the study of”, and the site has a several extensive collections of resources, games, hands-on activites and videos covering Anthropology, Archaeology, Astronomy, Biodiversity, the Brain, Genetics, Marine Biology, Microbiology, Physics, Zoology and more. The “OLogy! For Educators” section also provides teacher resources to help you build lesson plans and unit studies around various topics of interest. 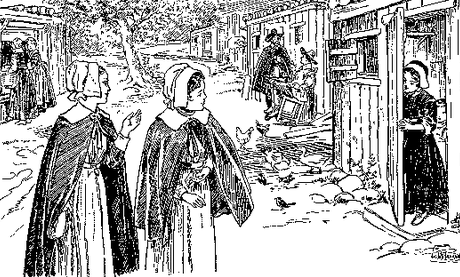 The Pilgrims’ Thanksgiving, The Mayflower Compact, The First Ever National Thanksgiving Proclamation, Continental Congress Thanksgiving Proclamation, Washington‘s Thanksgiving Proclamation, Lincoln’s Thanksgiving Proclamation, The First Thanksgiving (from “Stories of the Pilgrims”), Thanksgiving Picture Study, Pilgrim Timeline, Pilgrim Trivia, Thanksgiving Poems, Prayers, Quotations, Scriptures, Worksheets, Activities, and more. Whew! Click here to go to their download page! 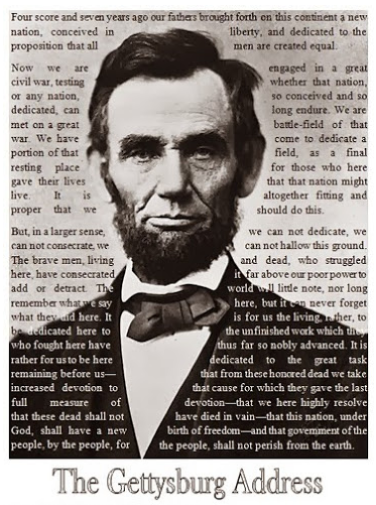 November 19th is the 155th Anniversary of The Gettysburg Address, which President Abraham Lincoln originally gave on November 19, 1863. Educator Larry Ferlazzo has put together a wonderful collection of links to resources, lesson plans, virtual tours and videos in honor of the day on his website. There is loads of great history material here! In 1606, some 105 adventurers set off from England to try and establish the first permanent English colony in the New World. They settled in what is now the state of Virginia and called their colony first James Fort, and then James Towne, in honor of James I, the King of England. The early years of the colony were nearly a total disaster. Almost half of the settlers died due to poor choices in settlement location, management of resources, and quarrels with the indigenous Powhatan Indians. What if you were the Captain of the Jamestown Colony? In this simple interactive online game, you can make your own decisions and see where they lead you. Can you do any better than the real colonists? You will have a copy of the London Company’s Instructions to help guide you. Also, you can ask your fellow colonists and the Native Americans for advice. Be careful, though, because some advice is better than others! 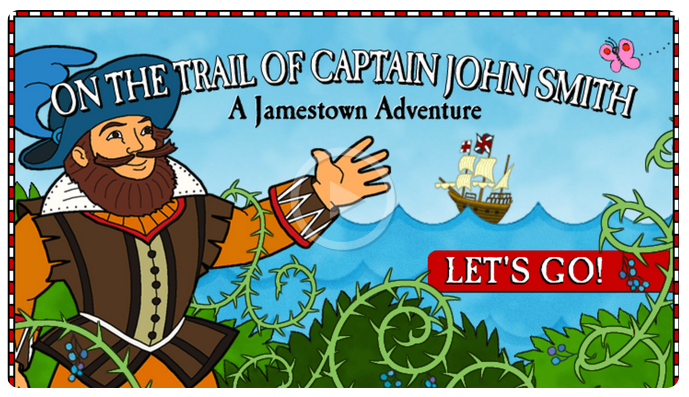 ON THE TRAIL OF CAPTAIN JOHN SMITH, from the National Geographic for Kids website, follows Captain Smith and the other settlers as they journey to the new world and found Jamestown. There’s several mini-games and videos about the challenges they faced in this fun interactive adventure. Here’s a creative and fun “hands on” unit study on Ancient Greek culture from adventuresinmommydom.org. In this set of studies for younger kids, she offers some great ideas for learning about Greek architecture, the ancient Olympics, Greek mythology, Greek artwork, small arms combat (using Legos) and more. Obviously put together by a mom who loves history, this study has lots of interesting ideas and would be great for primary ages. So begins this excellent book about the pilgrims and the colony of Plymouth, as told through the eyes of a young pilgrim girl named Mary. This classic “living book”, written by James Otis and originally published in 1910, is full of history, fascinating details about the daily lives of the pilgrims, along with plenty of action and adventure. Profusely illustrated and highly recommended. this is back by popular request! 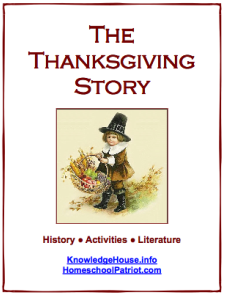 Another great story to share with your kids as we draw closer to our own Thanksgiving celebrations! 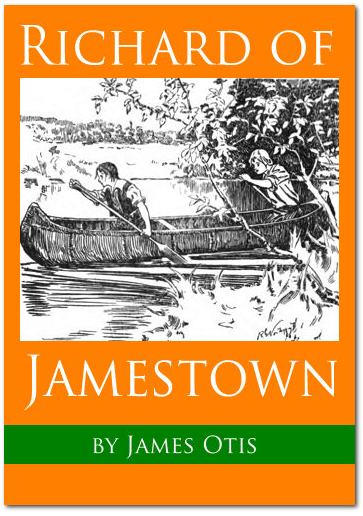 Richard of Jamestown by James Otis (PDF ebook) – A wonderful, highly readable chapter book by James Otis, chronicling the adventures of Richard, a young boy who sails to the new world with the colonists who founded Jamestown. His stories of the hardships and adventures faced by the Jamestown settlers, told from the viewpoint of a young boy, make this great reading for the Fall season. Don’t miss this! That the stories may appeal more directly to the children, they are told from the viewpoint of a child, and purport to have been related by a child. 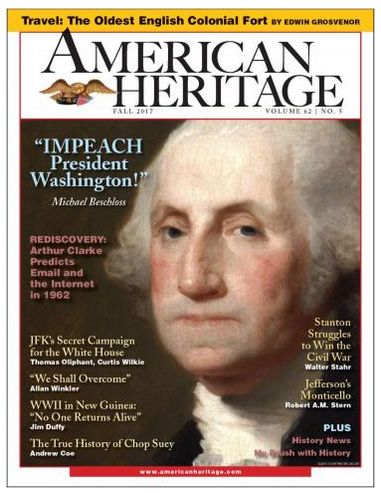 Should any criticism be made regarding the seeming neglect to mention important historical facts, the answer would be that these books are not sent out as histories—although it is believed that they will awaken a desire to learn more of the building of the nation—and only such incidents as would be particularly noted by a child are used. To download this PDF ebook, RIGHT CLICK HERE and “save” to your computer!